T25 with little shaft play from a 98 GST, side mount intercooler from a 91 GSX, knock off BOV with welded flange on pipe, and a 1G OEM BOV with no pipe. Was going to build a turbo kit for my truck, but dont have the money to do everything it needs. 1G BOV not shown in pics, also have the sotck internall wasteagte actuator that will go with kit. Sell the kit, all 6 parts for $150/offer shipped. PM if interested. Will also check thread daily. Thanks. $110 Shipped for the turbo and intercooler. Parts are for sale indavidualy. Make offers. Need to sell. 1G DSM BOV: $25 shipped. Universal BOV w/pipe: $30 shipped. Also have stock o2 housing for this turbo. $40 shipped. Any chances of shipping to europe? Its all sold. Sorry guys. Just sold it all friday. 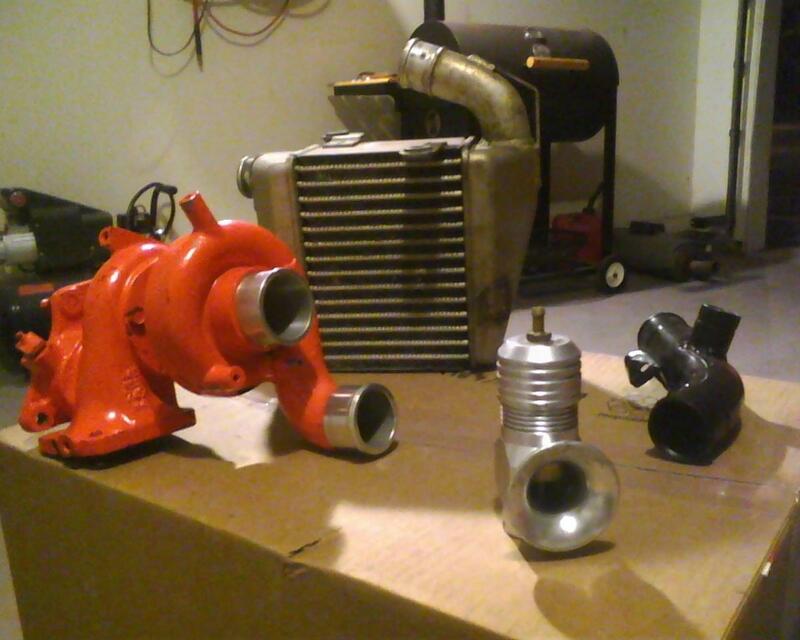 t25, 2g side mount, 450cc injectors, FPR for sale.